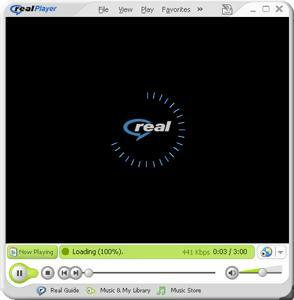 RealPlayer is a free cross-platform media player that can play all the popular media formats and offers a wide collection of extra features: video downloads and transfers, multiple format video conversion, social network sharing, advanced CD burning, a built-in media browser, optional toolbar for IE etc. - Online Radio with more than 3200 available worldwide and 60 add-free stations. - A 10-Band Graphic Equalizer for sound optimization, and advanced video controls for a high-quality image. - Advanced CD burning, ripping and mixing. - Supports all popular media formats including Quicktime, MPEG-4, Windows Media and DVDs. - A built-in media browser based on Internet Explorer. - Media library for organizing audio and video files. - Playlist editor with “drag&drop” support.